Are you still looking to buy a home before the new year? 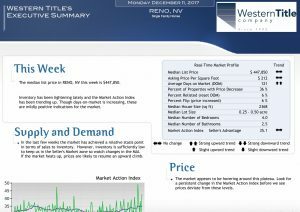 Brought to you by western title company, the median list price in RENO, NV this week is $447,850! To view the full report click the link below.